UFC on Fox 2: Evans vs. Davis Fight Pick and Preview | MMA Fighting Events Videos Techniques UFC Fight Picks and News. This Saturday, MMA (Mixed Martial Arts) fans get to watch some top level UFC action. The UFC has put a solid three fight main card for UFC on Fox 2. 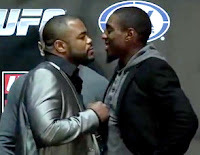 The main event will feature Rashad Evans vs. Phil Davis. This fight will decide who gets to face Jon Jones next for a chance at the his UFC light heavyweight belt. Before I make my fight pick, Let's take a deeper look into Evans vs. Davis. Rashad Evans comes into this fight with a solid 16-1-1 record. 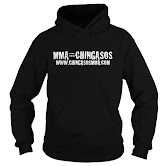 His only loss came to Lyoto Machida back in 2009 at UFC 98. Since that loss, he's racked up three wins in a row. Those three wins haven't exactly been impressive though. He won two decisions against Thiago Silva and Quinton Jackson, and finished off a fighter that was ready to retire in Tito Ortiz in his last win. Impressive or not, Evans knows how to pull off a win. Phil Davis is coming into this fight with an undefeated record of 9-0. Five of those wins have come in the UFC. Out of those five wins in the UFC, he's had a couple of impressive submission wins. He submitted Alexander Gustafsson with an anaconda choke at UFC 112, and finished off Tim Boetsch with a kimura at UFC 123. In his last UFC outing, he won a decision against Antonio Rogerio Nogueira. Phil Davis is taking a big leap in competition this Saturday when he faces Rashad Evans. Evans has more athletic ability than anyone Davis has fought. Evans also has more experience in top level fights, and possibly more KO power that anyone Davis has fought. While Davis might have better wrestling ability, Evans is no slouch and will be able to keep this fight standing if needed. Evans punching power will be the difference in this fight. Look for Evans to pull off a victory. That's my fight pick for Evans vs Davis! What's yours? Check out the UFC preview video, UFC on Fox 2: Evans vs. Davis.